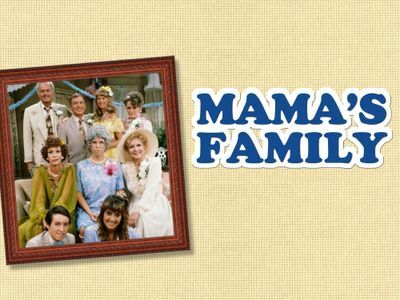 Here's where to watch every episode of Mama's Family season 1. Mouseover or tap an episode to see where to stream it. Click or tap the play icon to stream it on the best available service. Vint and the Kids Move In Jan 22, 1983 Mama's in a hurry to get to the mall for a sale and tries to hurry Fran along to finish eating. But before that can happen Fran's boss at the newspaper calls. Telling her she has to come in and re-edit her latest story. Mama is obviously upset because she can't drive and has no way to get to the sale. Meanwhile Vinton, Mama's only son, drops by the house and announces that he and the kids have been evicted from their house. Now he's hoping that he, his daughter Sonja, and his son Buzz, can stay with Mama until he gets back on his feet. Against Fran's wishes Mama agrees. Vint gets the basement, Buzz gets the attic, and Sonja gets Fran's writing studio because she refuses to sleep on the couch. Fran is outraged by this, and her and Mama have a huge argument about it. Fran's mood turns even more sour when she finds out Sonja stumbled up on the book that she'd been working on recently and reads it. Fran says it's an invasion of her privacy and finally makes the decision that she'll move out. Because she can't take the stress anymore. Of course Mama had no idea that Fran was actually writing in her studio. But later as things settle down a bit, her and Mama have a heart to heart and she changes her mind and decides to stay after all. For Better or For Worse Jan 29, 1983 After many years of not seeing each other, since high school, Vinton and Mama's next door neighbor Naomi Oates are reunited. They become quite close and Vint tells her that he had a big crush on her in high school. After coming home from the Bigger Jigger at 2 in the morning, Naomi and Vint go down to the basement to look at Vint's collection of TV Guides (25 years worth). Naomi remarks on how cute Mr. Ed is because that was her favorite show.They end up sleeping together and the next morning, while Mama and Fran are in the kitchen having breakfast, Naomi attempts to sneak out and is caught. Mama throws a fit and is outraged at Vint. Naomi, who had just sold her house, asks Vint to come with her to Arizona to run a trailer park because the job wants a husband and wife. Vint agrees and lets everyone know that he and Naomi plan on getting married and moving to Arizona. Mama is so shocked that she tells them that they can have the wedding at her house. The Wedding (2) Feb 12, 1983 The day of the wedding is at hand, and Vint and Naomi are ready to tie the knot. While Eunice still wants to sing her solo, she first asks Vint who says she'll have to talk to Naomi about it. Mama then gives Vint his daddy's ring as a wedding present, problem is Eunice thinks it's her ring, because Carl always wanted her to have it. While Naomi is getting ready she shows Eunice the ring, saying it's something blue and she prepares to wear it around her neck.Vint and Naomi say their vows and Eunice, who is already upset at Mama for giving her ring away and has had a few to many beers, prepares to sing her solo in front of the whole crowd. She starts yelling at Mama half way thru about the ring and Mama yells back and it turns into a free-for-all, with Eunice insulting everyone and eventually Ed has to carry out.Later,Mama and Fran sit on the couch, and enjoy the peace and quiet that they now have. Vint (who decided to take the kids afterall), Naomi, and the kids have left for Arizona. Mama Gets a Job Mar 5, 1983 Mama is complaining about not having done nothing with her life, so Naomi suggests she get a job. So Mama heads down to the employment agency, and after freaking out taking the entry test, she has to go through an interview. The Clerk suggest she doesn't have much of a chance of getting a job, until she remembers Raytown Travel is looking for a new secretary. 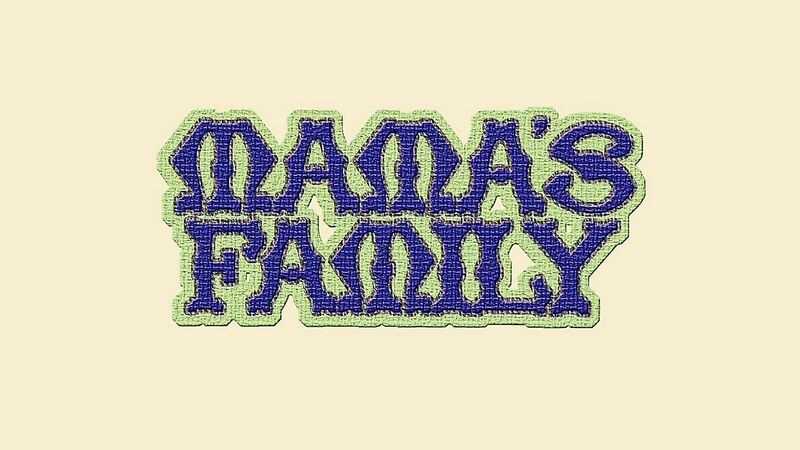 Mama takes the job and starts that Saturday.Mr. Vogelman, Mama's new boss, gives her a quick tour of her duties and leaves as Mama sets up her desk for the day. First she has trouble with the phone, not being able to get anyone to answer when she picked up (she had to push the lighted button), once she got that down, a couple came in and wanted to book a trip to Tahiti. But then the family calls, having a crisis involving Buzz' missing shoes and Sonya locking herself in the bathroom, and soon enough Mama starts being rude to everyone, and Mr. Vogelman decides she's just not the right person for the job so he fire's her. Double Standard Mar 12, 1983 Buzz and Sonya are getting ready for the the high school's Homecoming dance, when Vint tells the kids they both have to be in by midnight. Both complain, but Sonya (who's older) doesn't understand why she has the same curfew as Buzz. Vint says it's because she's a girl. Later Vint tells Buzz to take an extra hour if he wants. Which really upsets Sonya when she finds out, she tells Vint that she might not be back on time and storms out with her date.Vint, Mama and Fran are sitting up waiting to see if Sonya will be home on time. When Buzz comes home an hour before midnight, seems his date thought he was a jerk and dumped him for a football player. Just as Vint is getting worried, Sonya shows up still pissed and screams at Vint again. She storms off again into the kitchen and Mama follows where she finds out, Sonya had to come home, because her date had a curfew of midnight himself. Mama's Boyfriend Mar 19, 1983 Mama is all dressed up as Fran gets back from the store and she wonders ""Who Died? "", Sonya soon asks the same question, before Mama reveals she has a date with an old beau she hasn't seen in some 40 years. Much to the family's objections Mama goes out with her old him.After staying out most of the night on there first date and having such a great time, not to mention worrying poor old Fran half to death. Woody asked Thelma to go up to the lake with him like they did 40 years ago. She readily excepts to everyone's surprise. 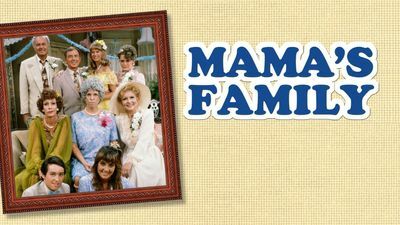 The family protests, most notably Vint, but Mama goes anyway.When they reach the cabin Mama gets nervous and starts an argument much like she did 40 years ago. After discussing the situation over a beer they both decide they made the right decision so long ago and end up coming home earlier than either had planned. Fran's Dress Mar 26, 1983 Vint, who has a bowling tournament, wants Mama to wash and iron his shirt and have dinner ready early. Then Fran, who has an awards banquet that night, asks Mama to iron the dress she plans to wear. Ellen comes by to pick Mama up and has to remind her of the her appointment she has. So Mama's is in a rush to get to her hair appointment, and she burns a whole in Fran's dress.Ellen and Mama then go to Neidermeyer's in hopes they can find the same dress. After finding it and having to pay $55 for it, Fran comes home early and try's it on. Vint then comes in and finds out Mama not only didn't fix dinner early, she didn't iron his lucky yellow shirt either.As for Fran's dress, turns out it's the wrong dress and it looks almost nothing like the other one. Fran throws a fit and her and Mama have a huge fight. In the end Fran decides to wear another dress.